Dragonflies are one of the most beautiful insects in the world. They have very good variety of colors on their bodies. 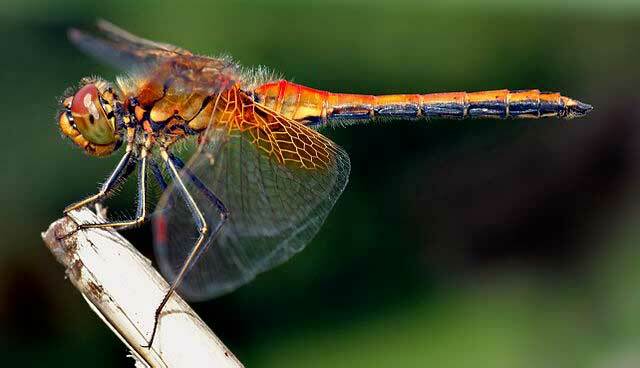 There are more than 3,000 species of dragonflies living all around the world. They are very friendly insects; they don’t bite the humans. Dragonflies have very good flying skills. They are one of the fastest insects, reaching a speed of 30 miles per hours. Also, they can fly straight, backward, upward, hover in the air. Adult dragonflies have an elongated body, which is divided into the three distinct body parts. These parts are head, thorax, and abdomen. Their size range from 0.5 to 6 inches long. They have six legs, which are directly attached to its thorax. But, they are not good Walkers. Dragonflies are equipped with two compound eyes like many other insects. These eyes help them to see all around except backward. They have a pair of wings which is transparent in color. But, there are some species whose wings are marked with colorful lines. Dragonflies are carnivorous (meat eater). They prey on other insects for their food and mostly eat mosquitoes, moths, and other smaller dragonflies. They have very sharp teeth for preying on insects, and mostly carry the prey with their legs. An adult dragonfly can eat more than 100 mosquitoes per day; more than a fifth of their own body weight. Dragonflies are found in almost all parts of the world. They prefer to live near the areas of water because they found these areas suitable for laying eggs. Many of the dragonfly species are endangered and some are very close to extinction. Mostly because of human-caused actions, which includes clearance of forests and development of hydroelectric dams. These actions have decreased the suitable habitats for their growth and development. Dragonflies have to warm-up their wings in the sunlight before the flight. They have six legs, but they are not good walkers. They mostly use their legs for catching preys. In many nations around the world, people like to eat the dragonflies. Ancient dragonflies were very large than todays. Their wingspan length was found to be 30 inches (two and a half feet). 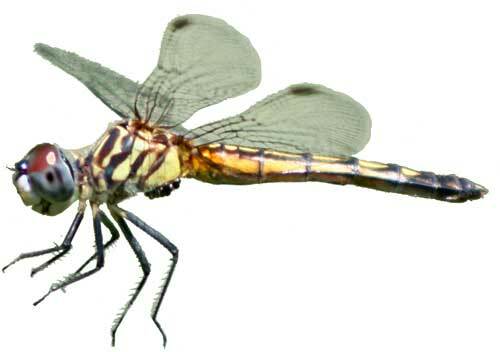 Fossil records suggest that dragonflies were living on the planet Earth for more than 300 million years. Abdul Wahab, "Dragonfly," in Science4Fun, April 13, 2019, http://science4fun.info/dragonfly/.